Nemesis’ Kayle ended the series in style. The Righteous has finally taken flight in the LEC. Fnatic’s rookie mid laner, Tim “Nemesis” Lipovšek, locked in reworked Kayle in the third game of their quarterfinals series against Team Vitality today. Although Kayle has seen some play time in the LCK and LPL, this is the first time that she’s been played in Europe. 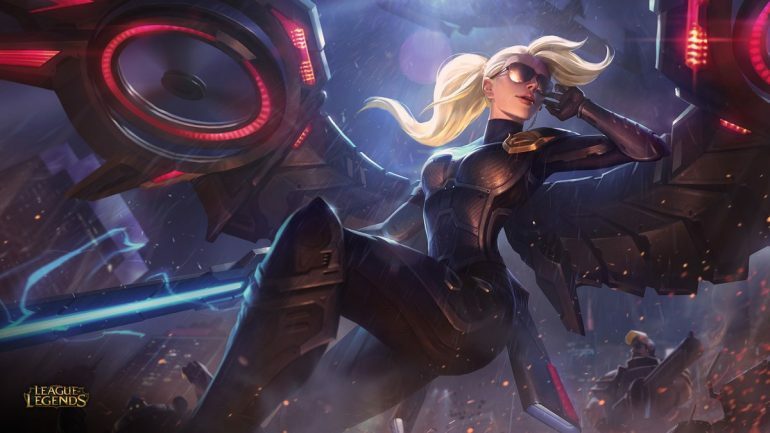 Kayle has actually seen some great increases in her winrate since she was reworked, with a boost from 49.65 percent in Patch 9.4 to 55.44 percent in Patch 9.6. It looks like Fnatic want to use the champion before she’s nerfed by Riot in the next patch. In fact, Nemesis and Mads “Broxah” Brock-Pedersen were able to make things work very early in the third match of the series—the talented jungler roamed mid lane to secure a kill on Daniele “Jiizuke” di Mauro. This gave Nemesis the boost he needed to push toward Kayle’s incredible late-game scaling. At 19 minutes, the Fnatic mid laner already had six kills and looked dominant. He and Broxah had been huge for Fnatic in this series, but this game was incredibly one-sided right from the start. Nemesis ended up putting the cherry on top of his destructive performance with a Pentakill on Vitality’s fountain, propelling Fnatic to the next round of the LEC playoffs. Whoever Fnatic face in the second round, they might need to consider putting a ban out on Kayle to prevent something like this from happening again.